If you’re going to Merida, Mexico, you’re probably looking forward to one thing: the food! 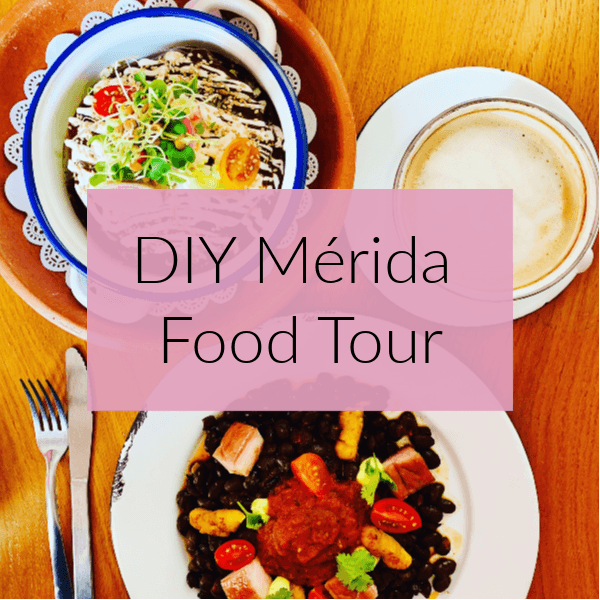 Luckily, it’s really easy to make your own DIY Merida food tour in the city center. You’ll be able to literally stumble upon some fresh pastries, delicious Yucatan specialties and Mayan food, joy-sparking desserts, and fun bars and nightlife. Merida is the capital of the Yucatan and is very walkable, so you’ll be able to walk from spot to spot on this tour. Take in the gorgeous architecture and history of this charming colonial city with vibrant colors around every turn. 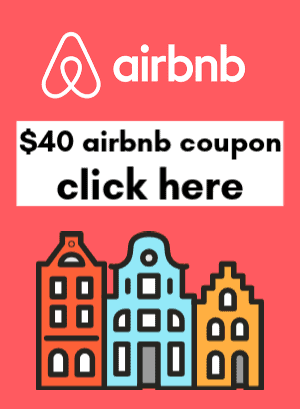 To read a full guide of things to do in Merida, check out my guide with recommendations on hotels, day trips, cenotes and more. 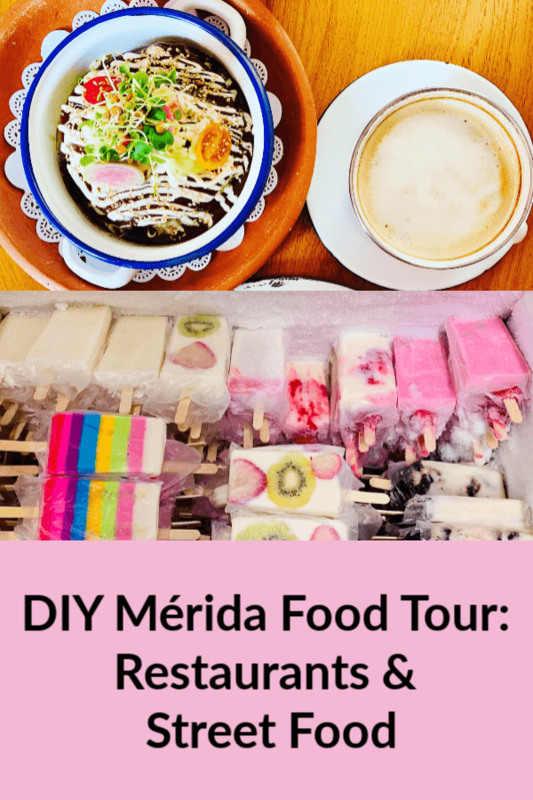 Now let’s get to the DIY Merida food tour; you’re probably hungry and ready to go! First time trying this Google Maps feature. On this embedded map you will see I “favorited” all of the locations I mention in the post below! Try saving some to your own map and let me know if it works out! If you’re like me, you can’t get started in the morning without a strong cup (or three) of coffee. After breakfast, take a walk around the Plaza de la Independencia. Take in the colorful and ornate architecture like the Catedral de San Ildefonso and the famous “Merida” sculpture. Walk through two markets to browse over 2,000 local vendors and sample fresh fruits and vegetables, pick up spices, try freshly squeezed orange and chaya juice (a Yucatan specialty), and sample dozens of food stalls with Mayan food. You can easily spend and hour or two wandering around these markets, which are just next to each other. They’re very crowded, but safe, and it’s fun to sample many different types of food so affordably! Are you stuffed yet? If not, you’re my hero. Hopefully you’re strolling around, letting some of the market food and drink settle. There are tons of shops right around the main square for you to shop in. You can purchase hats, blankets, hammocks, clothes, and souvenirs all around the main square. Take some time and digest before hitting the next spot. I always get a craving for sugar after lunch. Here are a few spots to try along the DIY Merida food tour. 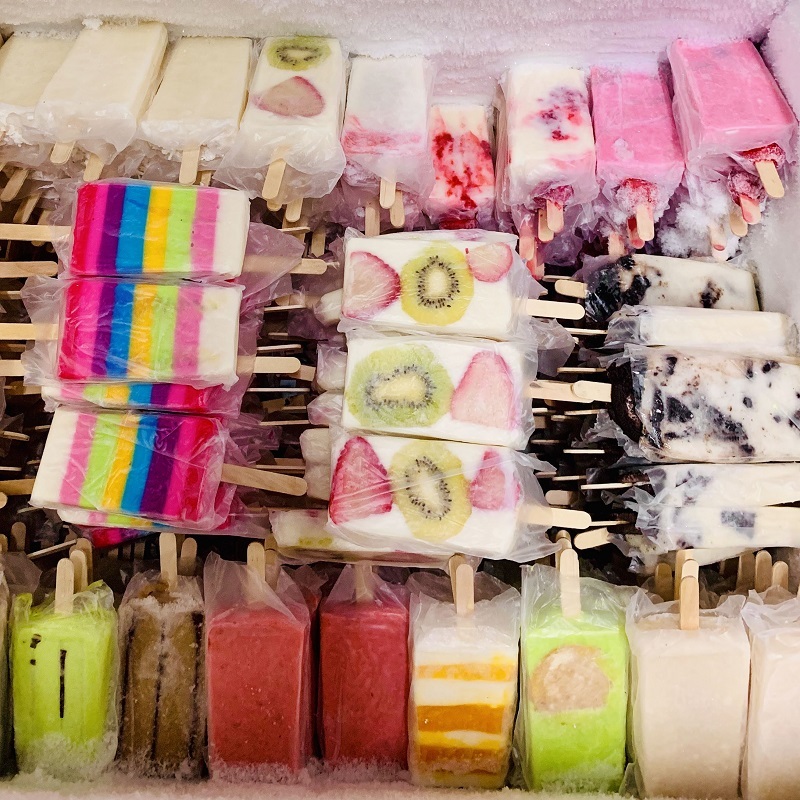 La Michoacana: Closest to the two shopping markets, this is a chain of ice cream shops with creative Popsicle flavor combinations. POLA Gelato Shop (Santa Lucia) has delicious gelatos and ice creams in a variety of unique flavors. Ki Xokolatl is a perfect shop to try if you’re a chocolate addict. 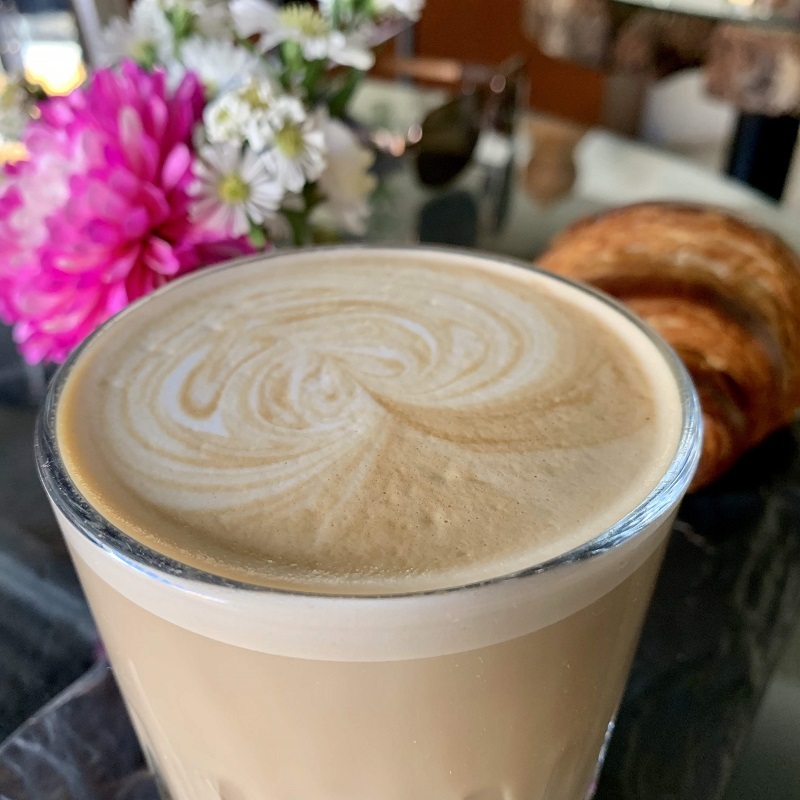 Just across from POLA, Ki Xokolatl prides itself on its organic bean-to-bar chocolate and refreshing frozen chocolate drinks. If you’ve made it this far, you have a stomach of steel and a will to conquer. We’ve made it to dinner. There are three special places I’d suggest trying, and all are within walking distance of each other and everything else you’ve seen today. La Chaya Maya is one of the most popular restaurants in Merida, and with good reason. 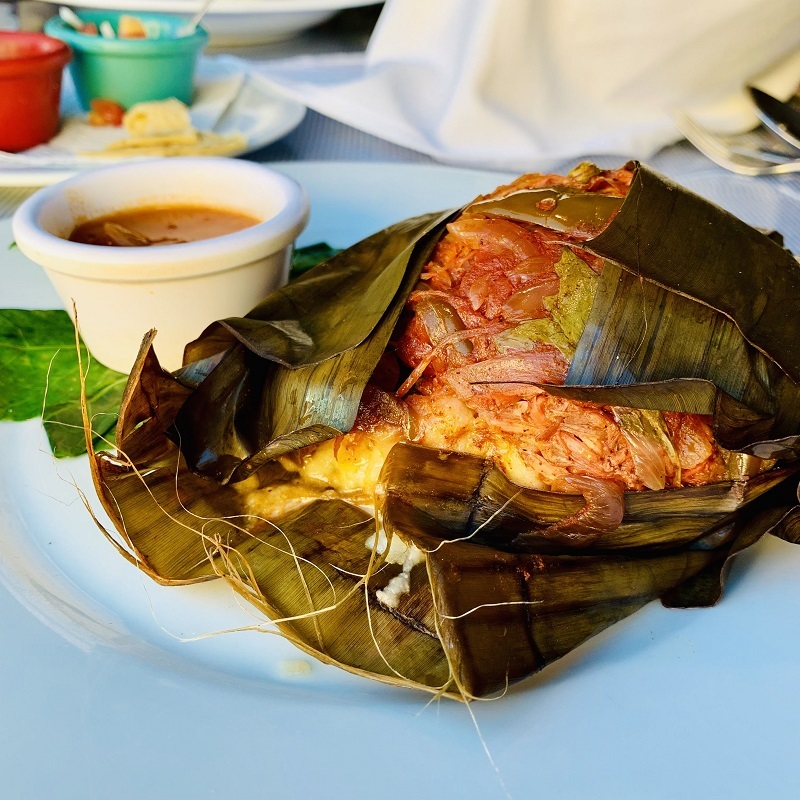 Their menu is bursting with Yucatan and Mayan food specialties like lime soup, tamales, and panuchos (tortillas stuffed with black beans topped with meats and veggies). Mercado 60 is a perfect stop if you’re looking to try lots more types of food or traveling with people who have varying tastes. It’s a collection of a dozen or so vendors who sell foods like Oaxacan tacos, burritos, fresh juices, margaritas, and more. Rosas y Xocolate is perfect if you’re seeking a special night out for dinner with locally sourced ingredients and an open-air patio. If you’re still ready to party, hit up one of these fun bars in Merida as you wrap up your DIY food tour! 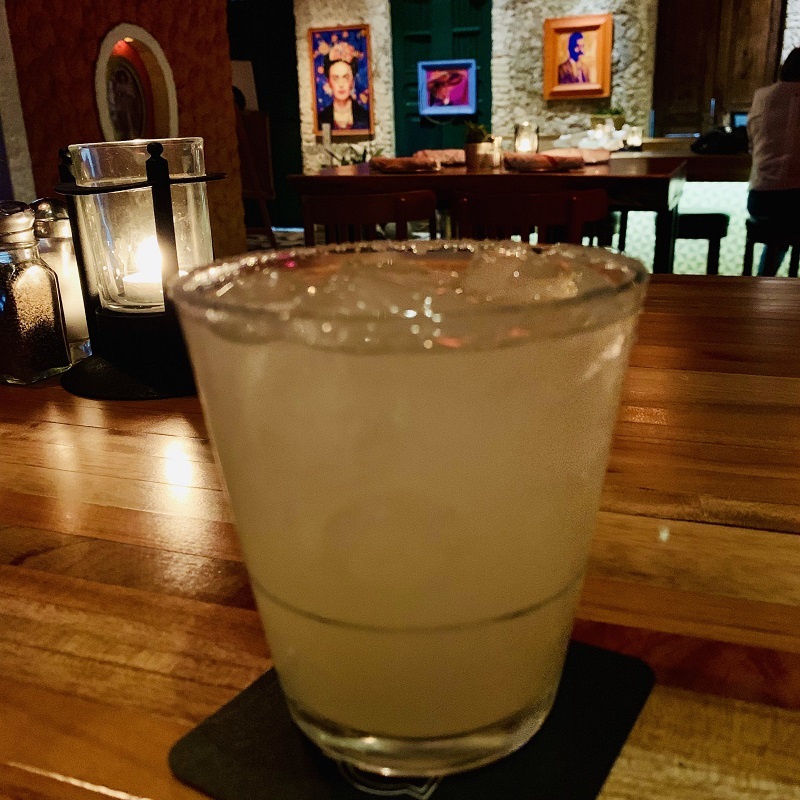 You’ll definitely be more inclined to practice your Spanish while drinking at these local watering holes.